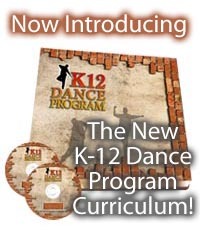 We offer a new show choir dance moves curriculum. This DVD set includes show choir dance moves from all era's including swing, musical theatre and comedy/novelty steps. Mike Weaver is the choreographer of the video demonstrating all the different steps. Mike also gives great show choir staging and blocking tips in the videos.